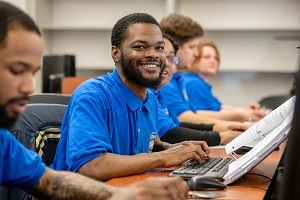 Whether you’re already working in private security or want to start a new career, the Private Security Training Academy at Cuyahoga Community College (Tri-C®) can help you on your path to a rewarding career as a security professional. 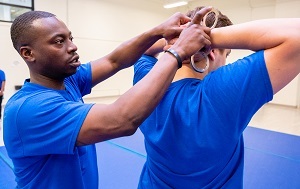 Tri-C’s Private Security Training Academy prepares you to become a private security officer. Security officers protect property, people, equipment and money from theft or other criminal activity including waste, damage and unsafe behavior. This rewarding career will allow you to earn more salary and move into supervisory roles. *A domestic violence conviction or any conviction of a lesser offense or plea where the original charge was domestic violence will prevent a student from taking the firearms portion of training. Academy students can apply for financial aid, if eligible. 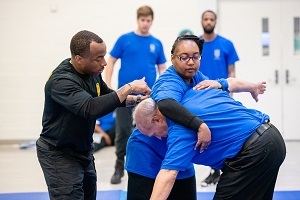 Graduates of Tri-C’s Private Security Training Academy have secured employment with school districts, private security agencies, government agencies, municipalities, retail facilities, hospitals and correctional facilities. Information: Monday - Thursday, 8:00 A.M. - 5:00 P.M.
Information: Monday - Thursday, 6:00 P.M. -10:00 P.M.
Infomation: Saturday - Sunday, 8:00 A.M - 5:00 P.M.